Friday may officially mark the first day of Fall, but retailers have been getting into the spirit of the season for weeks: pumpkin-flavored items started hitting shelves in August, and some Starbucks locations have been selling Pumpkin Spice Lattes since Sept. 1. The array of pumpkin-flavored items seems to get more surprising by the year, from pumpkin-flavored wine to pet food. And people are eating it up: Nielsen says sales of pumpkin-flavored items have reached a new high, bringing in $414 million in the U.S. between the end of July 2016 and the end of July 2017 — up from $286 million over that same period of time in 2013. But, while pumpkin items are now social media stars, the flavor wasn’t always something worth celebrating. 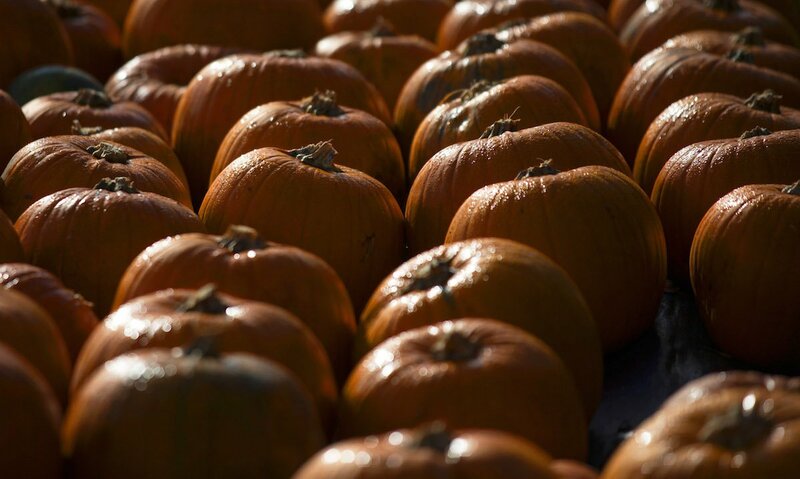 Among colonial American settlers, pumpkin “was a food of last resort,” says Cindy Ott, author of Pumpkin: The Curious History of an American Icon and a professor of History at the University of Delaware. “When there was no wheat for bread, yeast for beers, they’d turn to the pumpkin.” Moreover, as the pumpkin was native to the new world, there was even more reason for people to reject the crop, if they could afford to do so. “The colonists looked back at Europe to get a sense of foods they should eat,” Ott explains. And, as pumpkins were looked down upon as a food, so they became associated with people looked down upon in society in general. “‘Pumpkin eater,’ or ‘pumpkin roller,’ was a derogatory term for a poor, ignorant farmer,” Ott writes. Yet, because pumpkins grew everywhere, even those who looked down on the food tended to stash them away in their houses for emergencies. Even during westward expansion later on, people would take pumpkin seeds with them. Pumpkins — in high supply and low demand — were basically worthless. Turns out, to paraphrase the cliché, Americans didn’t know what they had until it was gone. When people started flocking to cities in the mid-19th century, nostalgia for the old way of life blossomed, and that included nostalgia for pumpkins. Soon the crop was rebranded and romanticized. Poems, paintings and the pages of publications like Harper’s Weekly were full of pumpkins. Pumpkin became a treat, its flavor one for dessert — especially once states started celebrating Thanksgiving (the brainchild of Godey’s Lady’s Book editor Sarah Josepha Hale). The famous 1844 Lydia Maria Child poem that starts with “over the river and through the wood” solidified that reputation with its concluding cheer for the pumpkin pie. In the 20th century, with nostalgia for an agricultural life having rescued the pumpkin’s reputation, the pumpkin returned the favor by helping farmers. The growth of the automobile industry meant that people from cities could drive to the countryside on the weekends, and small farmers were able to draw them there with pumpkins. Gradually, they stopped seeing the squash as something to feed livestock and instead saw it as a valuable retail product. That enthusiasm for pumpkins would helped keep small farms alive decades later, as agricultural subsidies that favored large-scale industrial agriculture jeopardized their livelihood. Roadside pumpkin stands, “pick-your-own” pumpkin patches and autumnal pumpkin-themed festivals, Ott argues, ended up helping save many small farms from foreclosure. “The pumpkin became a commodity because of the image it represents about rural life,” as Ott puts it, getting at the irony of commercializing a food that succeeded specifically because it seemed to represent an alternative to a life of commerce. That irony is unlikely to deter any pumpkin-lovers from stocking up this season — but it might help them gain another layer of appreciation for autumn’s signature flavor.